This two year old child died suddenly. 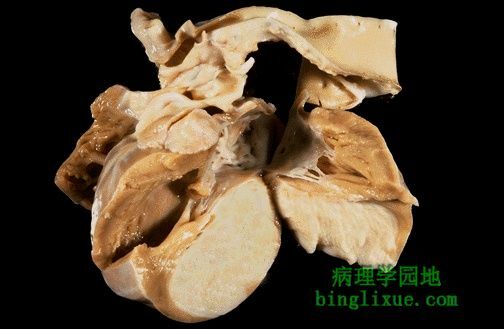 At autopsy, a large firm, white tumor mass was found filling much of the left ventricle. This is a cardiac rhabdomyoma. Such primary tumors of the heart are rare.